The Earth Resistance displayed is exactly the earth resistance that the earth current will need to go through if an earth fault occurs. No need to add all the bonding points and connection paths resistances. Displays voltage supply at the transformer (Line to Neutral), without loading the transformer. 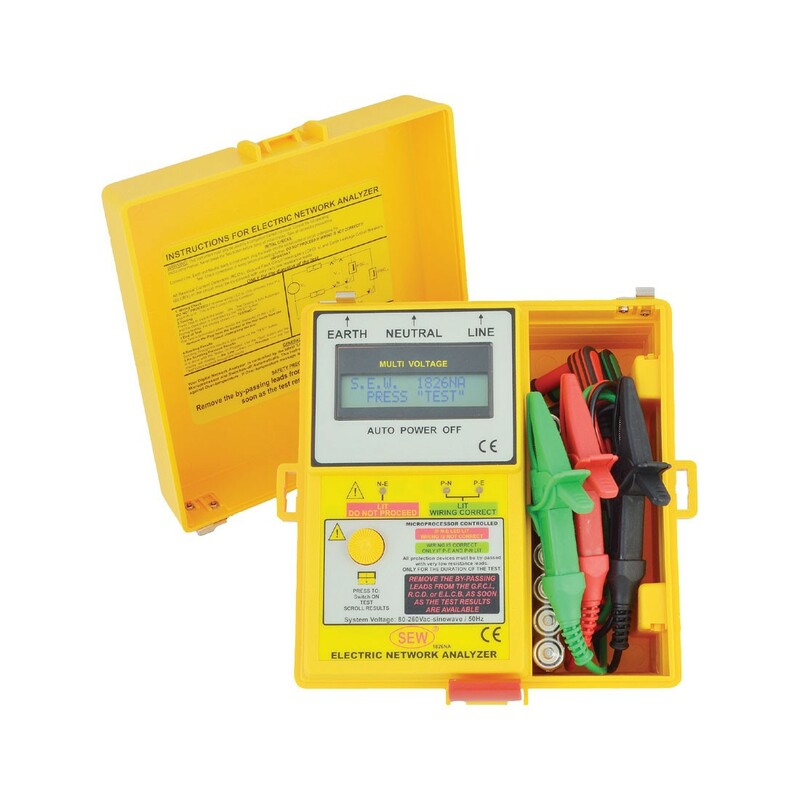 Displays voltage between Line (Phase) and Earth (Ground), without drawing any current. Measures the impedance of the line itself so you can analyze and differentiate between the multiples paths of the wiring. Measures the Neutral Impedance. Single one smart push button operation; ON, Test, Scroll trough results and menus. Checks wiring integrity LEDs). Auto off/auto ranging (software ranging). Combined prospective short circuit current, loop, individual wire and Earth Tester. Voltage test L-N and L-E.
Loop test for L-E and L-N and PSC. Enables analysis of constituent components in L-E and L-N loops giving resistance of earth, neutral wire, live wire and transformer winding. Display can be customized for large orders.